There are so many things to celebrate in Omaha, and luckily we always know how to throw a great party! Be it a birthday, graduation, engagement, surprise party, or just for the heck of it, you can bet that there will be an occasion in the coming months that calls for a get-together — all you need is the venue. Omaha has a wide range of locales from restaurants to concert halls that are perfect for your next event. We gathered up some of our favorites here, so all you have to do is pick one, send the invites, and get ready to par-tay. 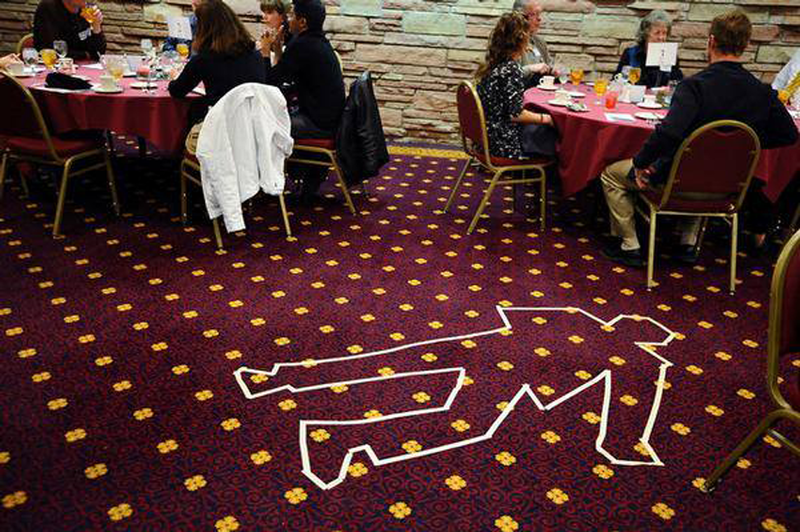 Make your party really stand out with a night out at the Dinner Detective! This murder mystery dinner series is almost like a live game of CLUE, but so much better than that. Non-costumed actors hide in the audience as guests just like you, hinting and engaging you in conversation. Over the course of the night (as you enjoy dinner and drinks) you and the other guests will work to solve the mystery and uncover the culprit behind it all! This is always a fun activity for a smaller group, but to truly make a night of it, book your own private event at the venue. The Ozone Lounge is Omaha’s newest live music venue, and one of the best places to host a great event! The venue is located just off of Anthony’s Steakhouse, which means that you’ll have access to the best party menu in town (wings, tacos, flatbreads, oh my!). Enjoy live music six nights a week, and a friendly staff who will help you through the entire party-planning process, including meals, decorations and beverages. You won’t even need to lift a finger — just show up and be ready for singing, dancing, great food and impeccable service. Upstream Brewing Company, located on South 11th Street, has served the Omaha area since 1996. Over two decades, the team has mastered the art of cold, refreshing beer, but also knows how to throw one heck of a party! Book one of four party rooms for your event — the South Pool Hall, the South Lounge, the Old Market Party Room and the North Lounge. There is ample space for parties as small as 30 people or as large as 114, as well as a full catering service (because your guests might need some snacks to go along with that craft beer). 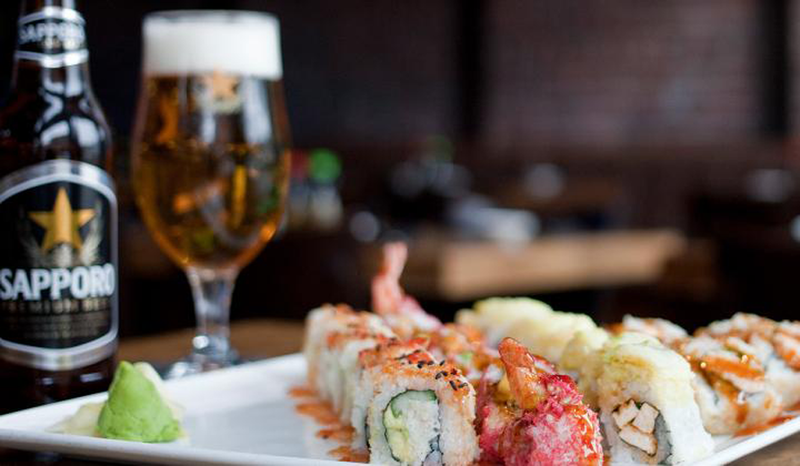 Blue Sushi Sake Grill is known for its unbeatable happy hour prices, eclectic menu, and vibrant atmosphere. Everything about this place just screams “fun” — especially if you’re a sushi fan! The lounge, located on the third floor, overlooks 12th street in Old Market, and is the perfect spot to host a cocktail party. Depending on your party size, you can choose either the North or South rooms, which can fit 120 and 30 people respectively. Mix and mingle with friends and family while enjoying bites from the large maki platters! Just a short jaunt away in Ralston lies Scorz Sports Center, one of the best party locales for your sport-loving significant other. The venue offers bowling, darts, pool and a full bar every night of the week. Looking for a more hopping experience? Plan your party on a Friday and enjoy a DJ and karaoke (and you’d better believe the guest of honor is obligated to get on stage). This bar-meets-venue is one of Omaha’s most popular event spaces — and for a good reason! This space spans more than 40,000 square feet, and sits just one block from the TD Ameritrade. The historic building dates back to 1883, and offers a unique, charming atmosphere that you and your guests won’t soon forget. Sit back, relax, and enjoy the fun as the staff caters to your every need with savory food options and refreshing cocktails. Everyone knows that giraffes, elephants and zebras make the best party guests — which is why you should host your next get-together at the zoo! 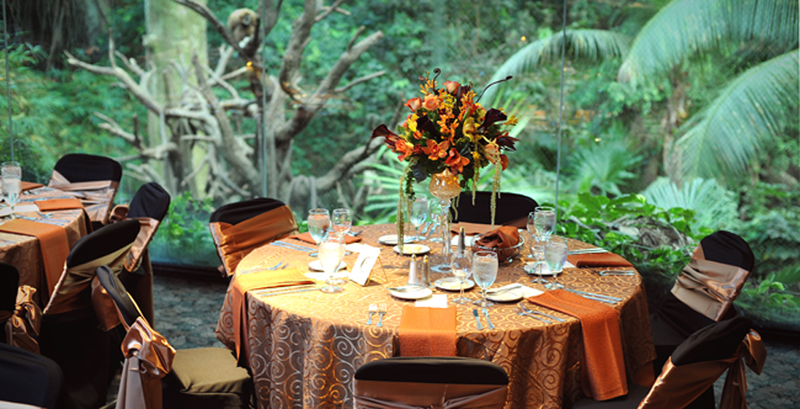 You can choose from six themes and locales, including the the Hubbard Gorilla Valley, which allows you to mix and mingle in a room surrounded by primates, or the Butterfly and Insect Pavilion, which is a complete immersion experience in a room full of colorful butterflies. All of the venues are fantastic, and can host between 100 and 300 guests. Charlie’s on the Lake is already a fan-favorite for a seafood dinner on the sunny patio overlooking the lake, but it’s also a fantastic location to host a party. For smaller parties, enjoy a soiree on the patio under heaters, and sip on cocktails from the bar (happy hour runs from 4-6 pm!). If you’re looking for something a bit more official, opt for the Lakeside room, which can accommodate up to 80 people and boasts a beautiful view of the lake. On Thursday, Friday and Saturday nights, enjoy the liveliest dueling piano show in the state at Blazin’ Pianos. Currently located on the west side of Omaha, this venue is perfect for smaller groups looking for a fun, memorable night on the town. Bachelorette parties, we’re looking at you. Tip: Stop in on Thursdays to enjoy the show free of cover! Plan your next event on the rooftop garden or all-seasons patio of Blatt Beer & Table, which never fails to impress with its stunning views of the Omaha skyline. While you’re marveling at the scenery, you can enjoy bar games and snack on German delicacies such as Bavarian pretzel bites, beer cheese soup and sausage on a stick. Don’t miss out on Blatt’s single barrel whiskey, a collaboration with Jack Daniel’s that can be enjoyed straight up, on the rocks, or in a cocktail. There are a lot of baseball fans here in Omaha, and during the season, you’ll most likely find us either at a popular sports bar or at the stadium rooting for the home team (the Storm Chasers, of course!). However, the best way to experience a Storm Chasers game is up close and personal in a private suite with all of your favorite people. Book a suite for either 18 or 36 people (rates vary depending on location), and enjoy the climate control, leather chairs, private balcony, personal suite attendant, and refrigerator for all of your party refreshments! 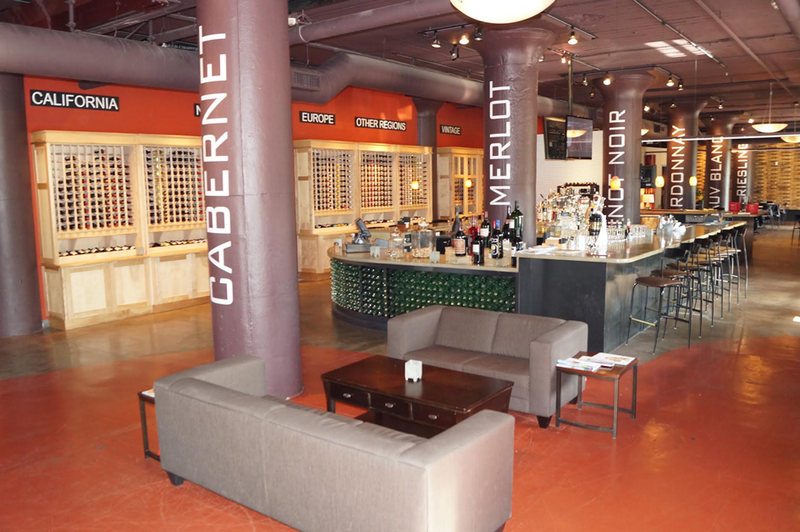 Conveniently nestled in the Old Market district lies Bricks and Mortar Bar & Bistro, which has the capability to host a wide range of parties for groups of 10 to 300 guests — with no room rental fee and plenty of parking! The chic atmosphere, craft cocktails, great music and dim lighting make it the best place for a soiree, and all you’ll have to pay for are the food and drinks. No, it’s not too good to be true. 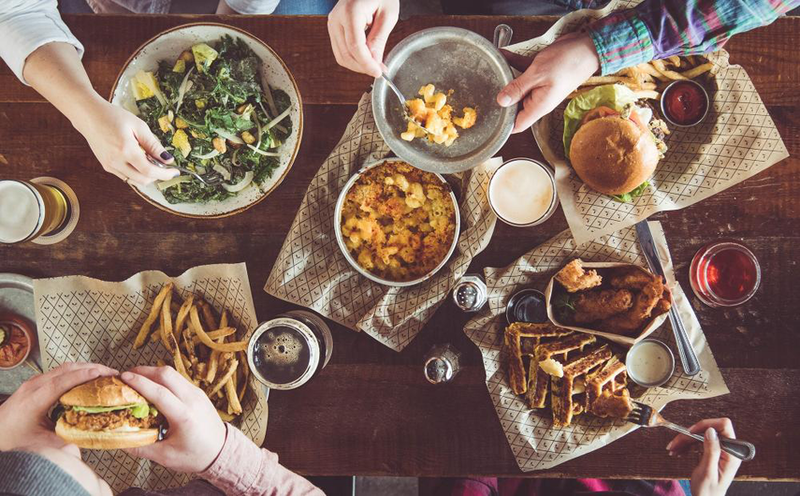 Where is your favorite place to host a gathering in Omaha? We’d love to hear about it in the comments!